Love in the Afternoon - Blu-ray Review - ReDVDit! Billy Wilder is a name that every self respecting film fanatic should be familiar with. After fleeing Germany to escape Nazi persecution, he escaped to France, and later came to Hollywood where he made a name for himself as a director of films dripping in darkness, but oozing with romance through the 30s and 40s. Heading into the 50s, he softened his edge, transitioning more into the realm of light comedies, also oozing with romance; some of his greatest achievements and most remembered films, such as The Apartment and Some Like It Hot emerged from this second coming of the majestic Wilder, which would last well into the 1960s. Love in the Afternoon, a 1957 feature film released by Allied Artists featuring Gary Cooper, Maurice Chevalier, and the always wonderful Audrey Hepburn and directed by Wilder, is a lesser renowned film of this era, but one that is no less comedic, or oozing with romantic charms. The film is centered around a young girl named Ariane, played by Hepburn in her absolute prime. Raised by a master private detective, who specializes in rooting out affairs and hunting down lovers, she follows his work with a passion, reading his files and prying every detail she can out of her father. In the process of immersing herself in the seedy romance behind the work that keeps her father busy, she ends up falling in love with one of the stars of her father’s files, American businessman Frank Flannigan. Drawn in by his masculine charm and wild reputation, she takes advantage of her father’s files to save his life, and in turn they make plans to spend the following afternoon together. What follows is a passionate game of cat and mouse, as Ariane plays every trick in the book to break Frank of his old habits, and Frank simply chases, trying to figure out just who she actually is. 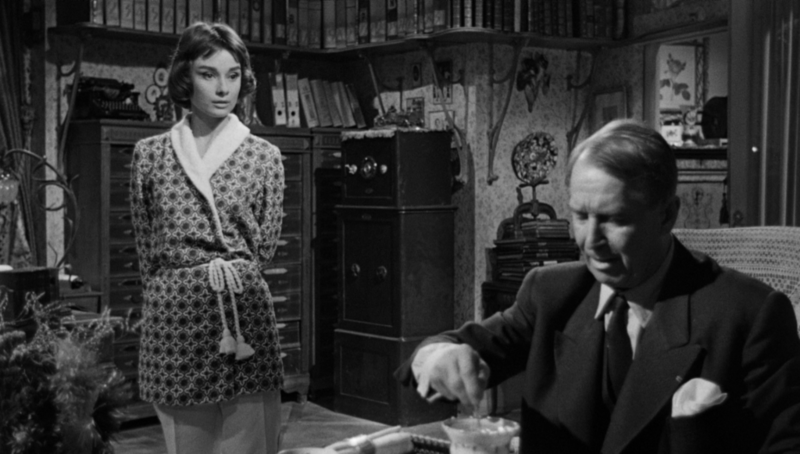 Helmed by Wilder at a time when he could essentially do no wrong, Love in the Afternoon is both a love letter to Paris and to Audrey Hepburn’s infallible on screen charm. Using the city of Paris as the setting of a romantic comedy is practically cheating, but the screenplay turns the allure of Paris on its head, painting it as a city of controversy and disaster for those who attempt to hold working relationships together. At the center of it all is Ariane’s father, played by French actor Maurice Chevalier, whose career as an investigator lines up all the right pins, which include adultery, violence, and a surprisingly large catalog of news stories that embellish Frank’s womanizing capabilities. All that’s required is the slightest of breezes to push Ariane in the right direction, sending her on an adventure to save Flannigan from potential disaster, and to kindle a potential romance. Chevalier plays into the role brilliantly as her oblivious father, displaying a wealth of enthusiasm and wit as he fulfills the role of the eccentric investigator whose actions only serve to sink her further into Flannigan’s arms as the movie progresses. The majority of the movie, though it hinges on the goofy actions of Ariane’s father, is spent focusing on Ariane’s attempt to win over Frank from his previous lifestyle, which was essentially spent drifting from woman to woman, leaving a trail of ruined happiness in his wake. In an amusing turn of events, she weaponizes her father’s files in order to embellish her character and turn herself into a formidable match for the man she’s chosen to go up against in the game of love. 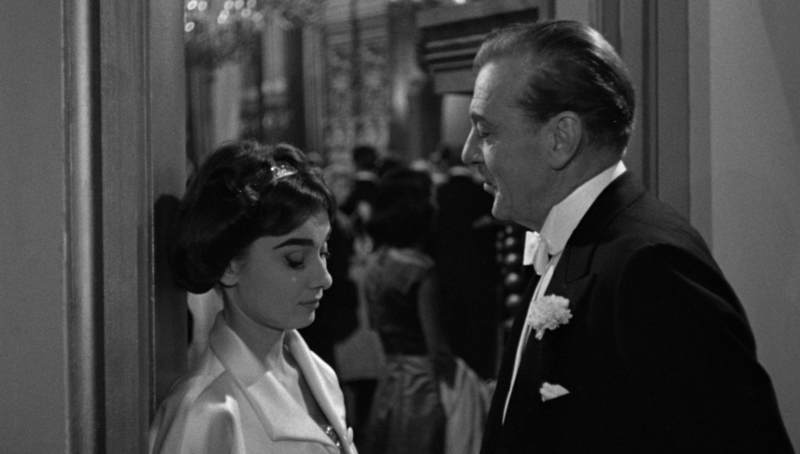 Audrey Hepburn shines as the lead, with Wilder going to every effort to maximize her beauty and charm on screen, by means of masterful close ups, and witty, but warm dialogue that helps strengthen her character as the hopeless romantic. A different pair may not have been able to pull it off as effortlessly, and the result is a film that effectively places the majority of its comedy and storytelling on Hepburn’s best qualities – a smart movie if I’ve ever heard one. The only real gripe I have with this otherwise effective and amusing romantic comedy is in its choice of male lead – Gary Cooper. 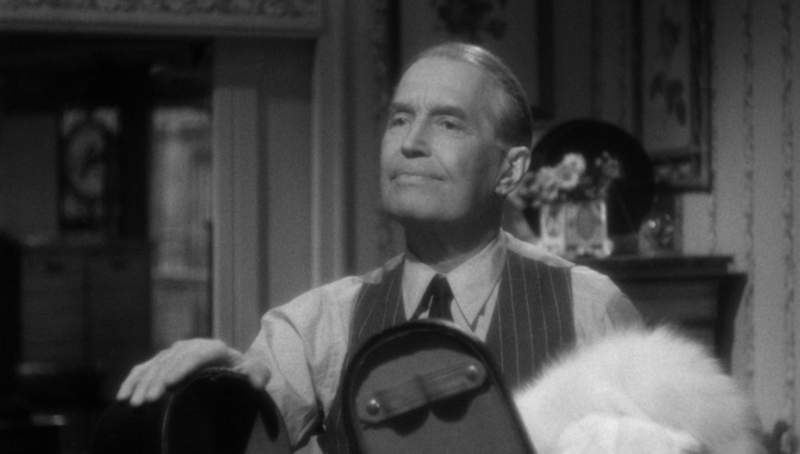 By this point in his career he was A: a little too old to play Hepburn’s romantic counterpart, even to play the older man she attempts to win over, and B: a little too wooden to create convincing chemistry with Hepburn as a screen couple. In this film, it’s almost too easy to fall for Hepburn’s character, and her onscreen presence, which makes it difficult to sell the idea that she’d go running after such a bland man, as seen through the performance of Cooper. He seems bored with the kind of role he’s been assigned, only breaking out any sort of energy in the film’s final moments. It doesn’t derail an otherwise excellent film, but sometimes mutes Hepburn’s incredible energy and enthusiasm on screen. 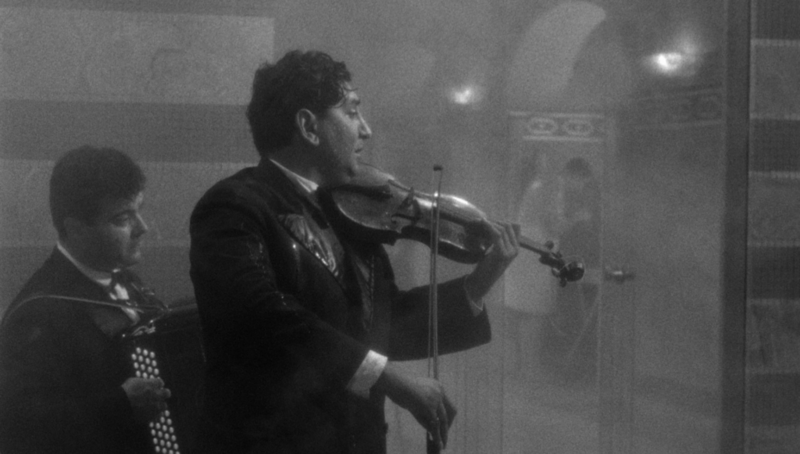 Lazy acting aside, Love in the Afternoon is a well oiled machine, with great pacing, wonderfully hazy black and white cinematography that makes it feel nostalgic and warm, and a great script full of goofy moments, most of them involving a traveling band of musical gypsies. It may not be one of Wilder’s, or even Hepburn’s defining movies, but it does a solid job of telling a goofy, light romantic comedy, complete with subtlety and excellent comedic pacing. It’s the kind of movie that modern directors ought to take notes from. 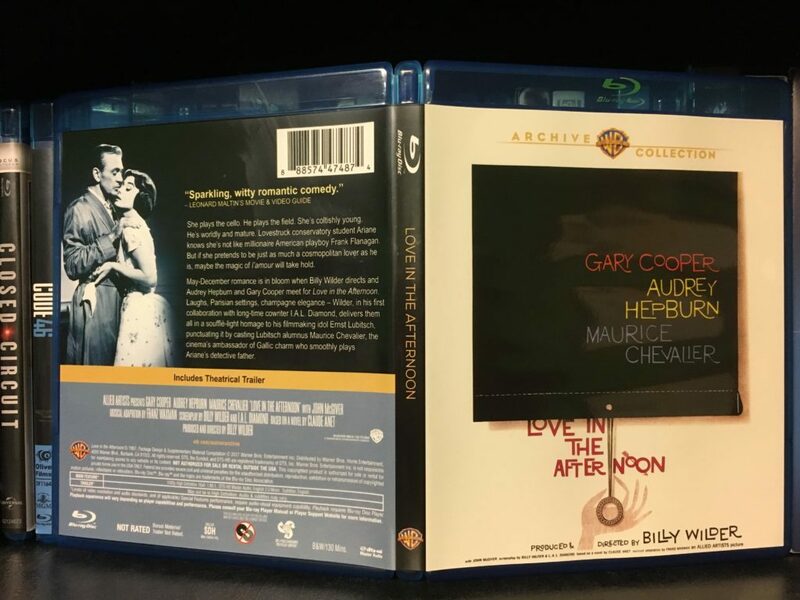 Shot on 4-perf 35mm film with spherical lenses and cropped to the 1.85:1 aspect ratio for theatrical projection, Love in the Afternoon is presented on Blu-ray in 1080p resolution, with a 1.78:1 aspect ratio, sourced from a brand new HD master by Warner Archive. 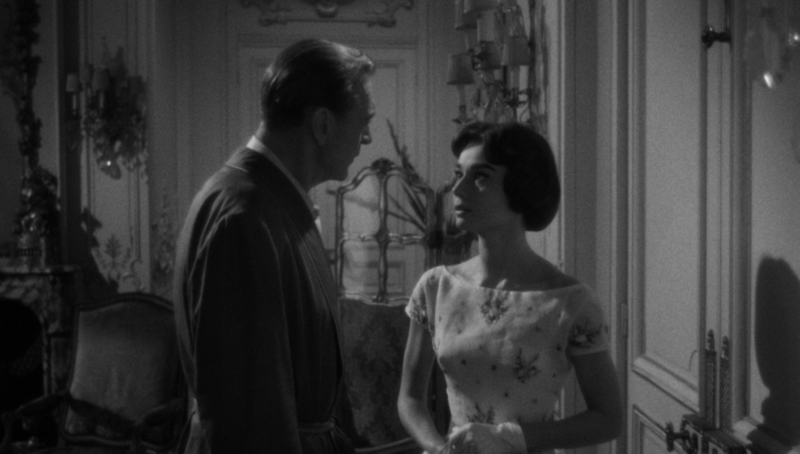 Love in the Afternoon, shot by experienced Hollywood cinematographer William C. Mellor, is a soft, hazy kind of production. I can only assume this was intentional, as the film features a lovely layer of razor sharp, natural film grain overtop the entire feature. Beneath the grain and inherent softness of the image, we are treated to a beautiful black and white image, with stunning contrast and detail revealed through any of the film’s various close ups on Hepburn or the other various characters in the film. 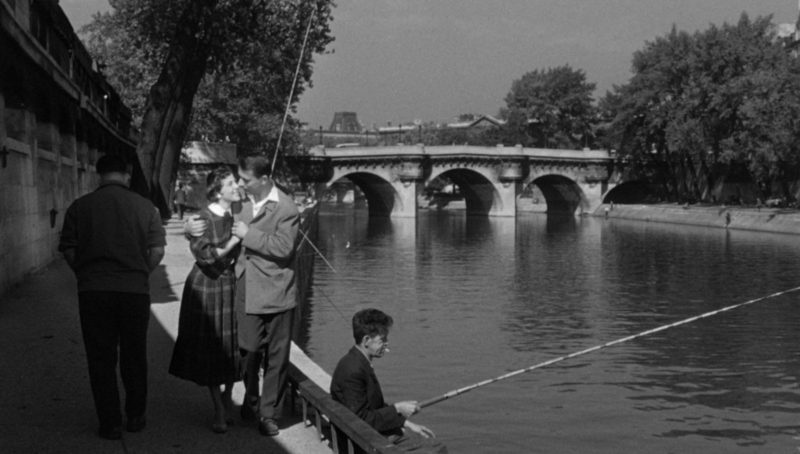 Detail rolls off in mid and wide shots, but it fits in with the aesthetic of the film, which emphasizes the warm, nostalgic romance that is inherent to the film’s Paris setting. The image is steady, and so clean you could eat off of it. Warner Archive has once again proved that they’re the best at producing beautiful masters of often overlooked catalog titles. Originally presented in theaters using a mono optical track on release prints, Love in the Afternoon features a DTS-Master Audio 2.0 mono soundtrack, recreating that experience. A mono production that focuses almost entirely on character interactions full of dialogue, Love in the Afternoon’s mono soundtrack is fairly serviceable. It handles the film’s various layers of sound adequately, even as we follow our characters to orchestra rehearsal halls, and later to a night at the opera. The sound quality is clean, with no hint of surface noise or any pops and clicks to its damage its good name. 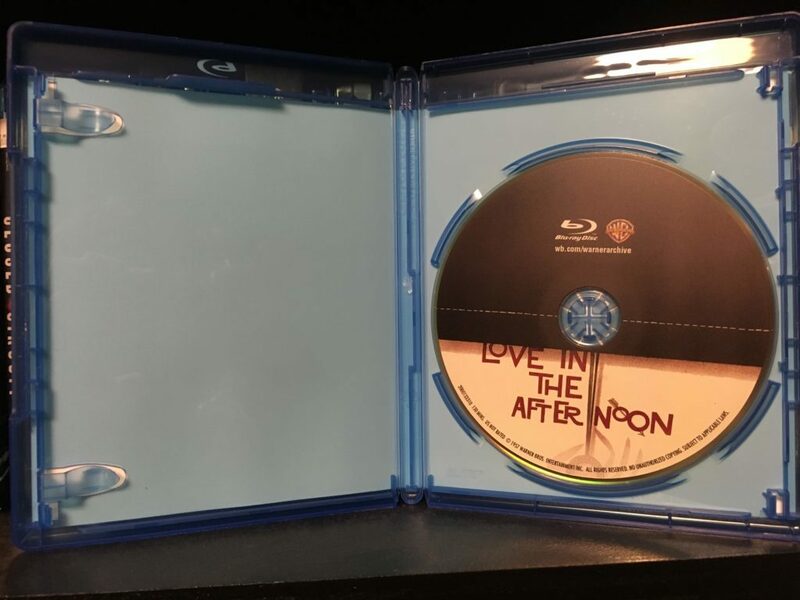 Released to home video by Warner Archive, Love in the Afternoon comes packaged in a standard Blu-ray keepcase. The front artwork features a scaled down presentation of the film’s US release poster, with the three lead players’ names layered on top of a pulled down black shade, above the film’s title. I sort of get it, what with the whole investigative theme to the film, but it seems oddly detached and minimalist compared to the film contained within the case. 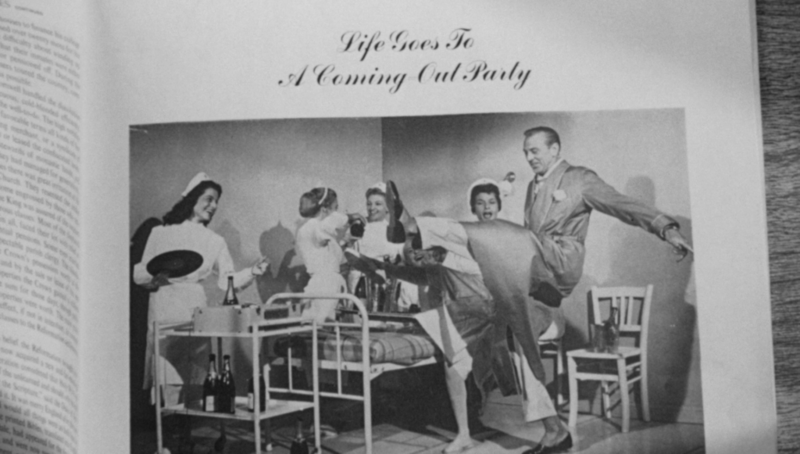 Back artwork features a picture of Cooper and Hepburn embracing each other from the film, next to a few paragraphs about the film, a review quote, a list of the single feature, credits, and technical specifications. A fairly standard, unassuming packaging job by the folks at Warner Archive. Theatrical Trailer – the film’s trailer, as seen in theaters leading up to its original 1957 release. Well. I guess that’s better than absolutely nothing. Sorta. Love in the Afternoon is a solid romantic comedy, helmed by one of classic Hollywood’s finest directors during his peak years. A simple miscalculation in casting has knocked it down a peg, but doesn’t deter a film that otherwise does an excellent job embracing music, love, and happiness through the lens of Paris’s darker side, all for the sake of good comedy. 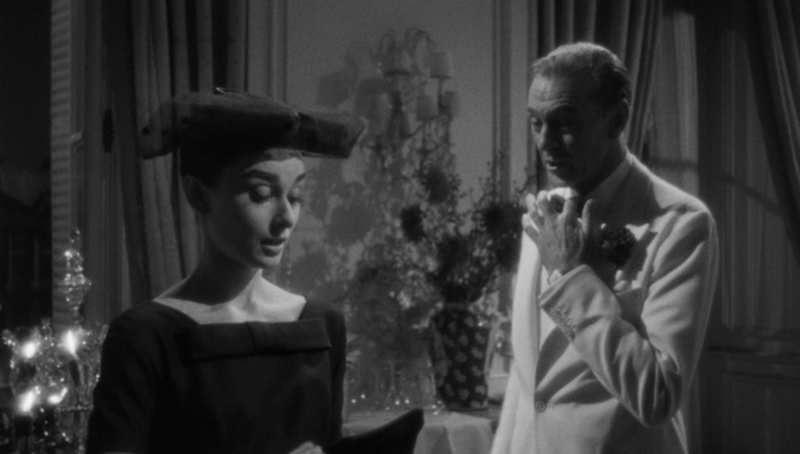 It’s goofy, warm, and altogether a rather satisfying experience, driven by a wonderful performance turned in as usual by Audrey Hepburn, who shines as the young romantic. Warner Archive’s new home video release of the film features an excellent black and white 1080p presentation and decent audio. It leaves something to be desired in the special features and packaging department, but then again, what recent release doesn’t? Recommended. Chris is a 2017 graduate of The College at Brockport with a BS in Biological Sciences, and is an initial teacher candidate in the State of New York. When not ripping Blu-rays to shreds, he can be found pining for the days of Sega Saturn, or playing a Laserdisc.